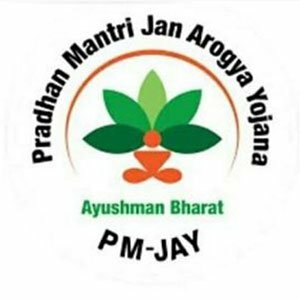 Last year’s launch of ayushman bharat Yojana or Pradhan mantri jan Arogya yojana has been a notable entity to the Indian government. It assures health benefits to the economically weak society. The scheme’s policy provides coverage of rupees 5lakh per family over and 10 crores of poor families in India. Ayushman bharat launched on September 23, 2018, by the PM Shri Narendra Modi. It claims to provide quality treatment with the hospitals impaneled to ensure the facilities. Over 40% of the population would acquire the benefits regardless of the family size. With 23 states included. The beneficiaries examined are under the Socio Economic Caste census SECC database of rural areas. The database is based on the census of year 2011. Eligible families are allotted with an identification number. The listed families are entitled to acquire the benefits of Ayushman Bharat. AB-NHPM intends to uphold the deprived rural families and identified category of urban families’. AB-NHPM does not have an enlisting process, as it is an allocated assignment. The services of AB-NHPM is available at all the public hospitals and impaneled private care institutes. A minimum of 10 beds as per the criteria are entrusted at the hospitals. The inclusions shall cover the medical expenses for secondary and tertiary care process. The scheme consists of 1,354 packages, which also covers the treatment for coronary bypass, and knee replacement. Government websites and mobile apps provide the information regarding the impaneled hospitals available. The payments for the treatment is achieved through package rates to control the costs. However, an insightful scheme, it is important to make sure the credibility of the strategy. The state Kerala admitted about 17% of the total beneficiaries, but no fund has been released. Likewise, national disease of India is varying and there should be more focus on communicable diseases.’ A noticeable action must be taken in consideration to strengthen the chaos of the rural infrastructure. Delhi is yet to join the yojana which is indeed a drawback asit can allocate a good amount of facilities nation-wide. Cooperative hospitals are still reluctant to accept the scheme so it is significant to aim at the sustainability of the small-scale hospitals and its maintenance. National portability is another key issue as it lacks complexities in internal procedures.consequently; there are cases where people access services outside the state. The technical aspect of AB-NHPM shall be revised as fraud could happen seamlessly. An ambitious health scheme, which could presumably be a game changer if it benefits the needy. This could be a benchmark to the health sector of Indian economy if it caters the vulnerable society with adequate necessity.